Capacity132 bhp. at 4750 tpm. 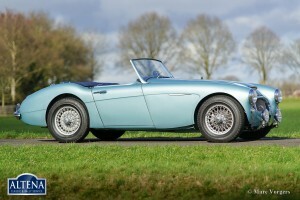 Top-speed122 mph. 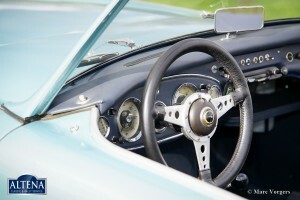 - 190 km/h. 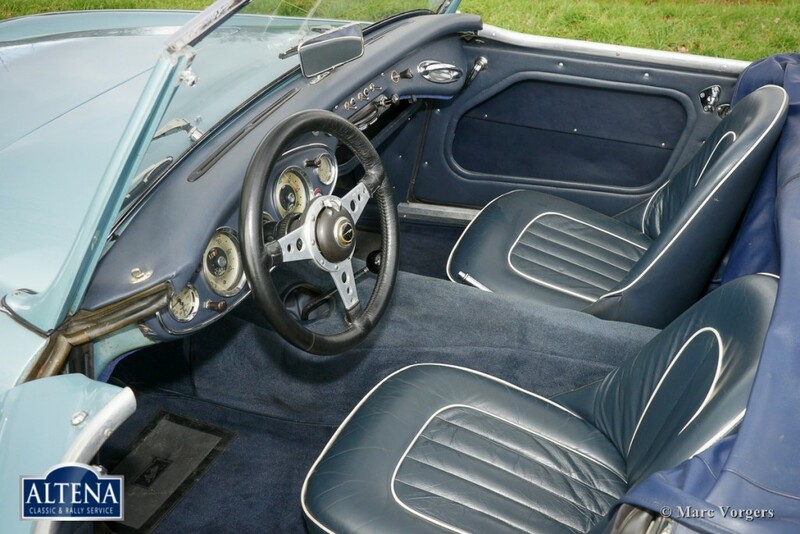 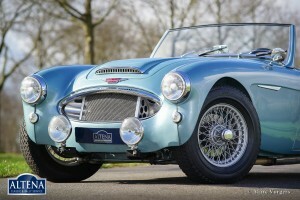 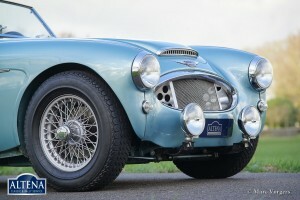 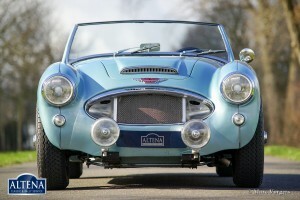 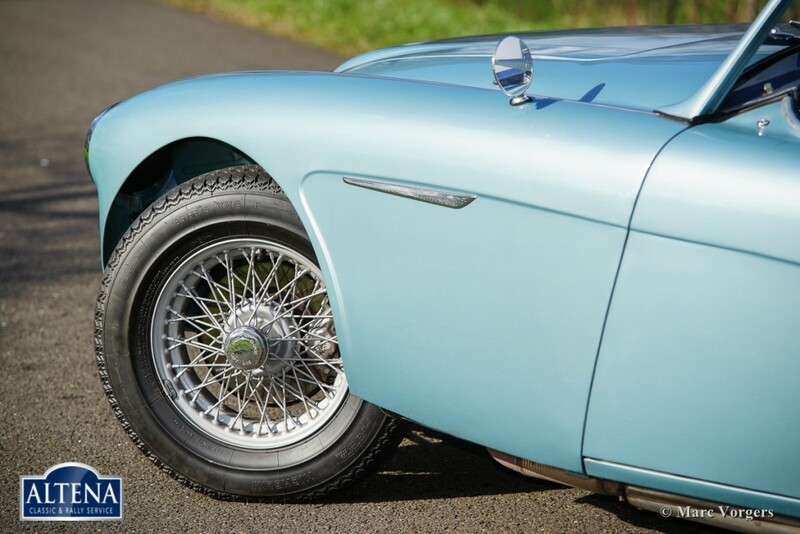 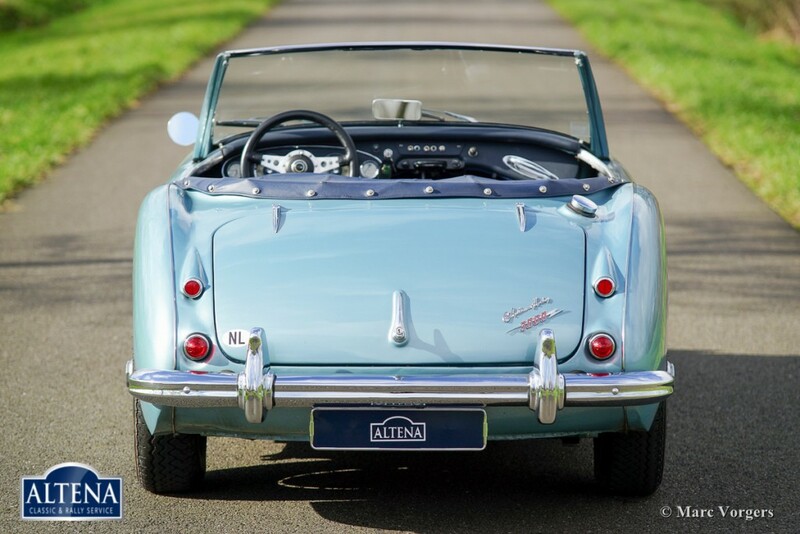 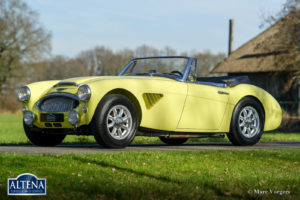 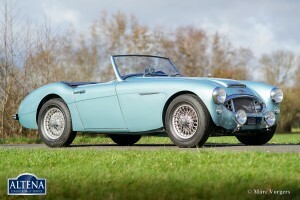 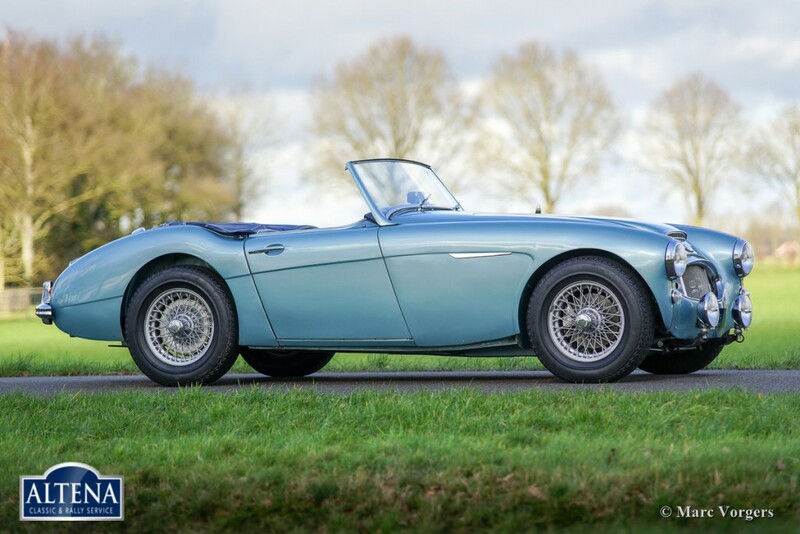 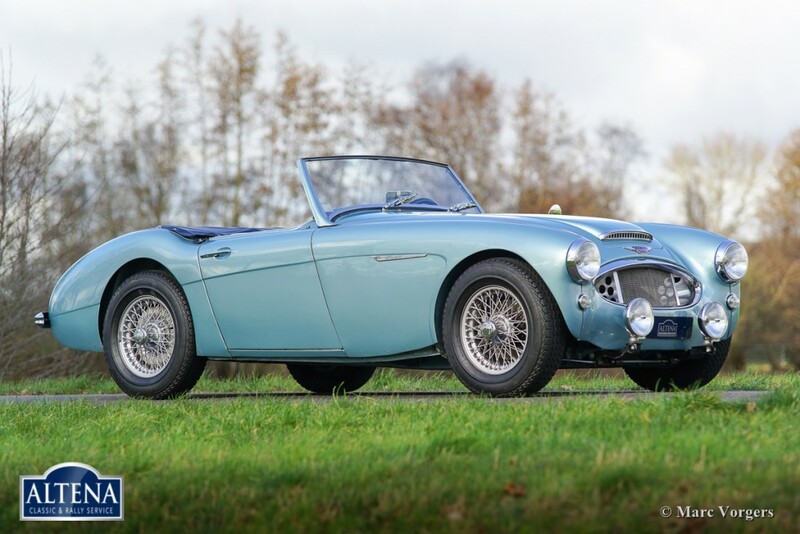 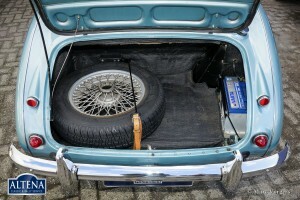 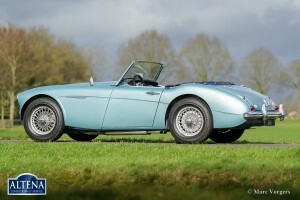 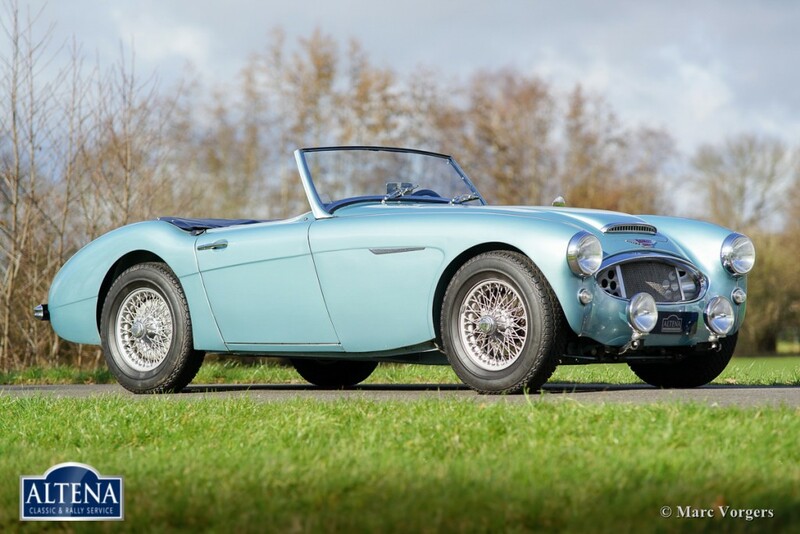 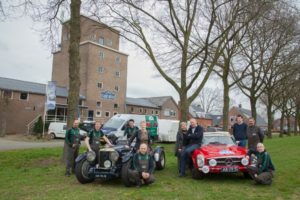 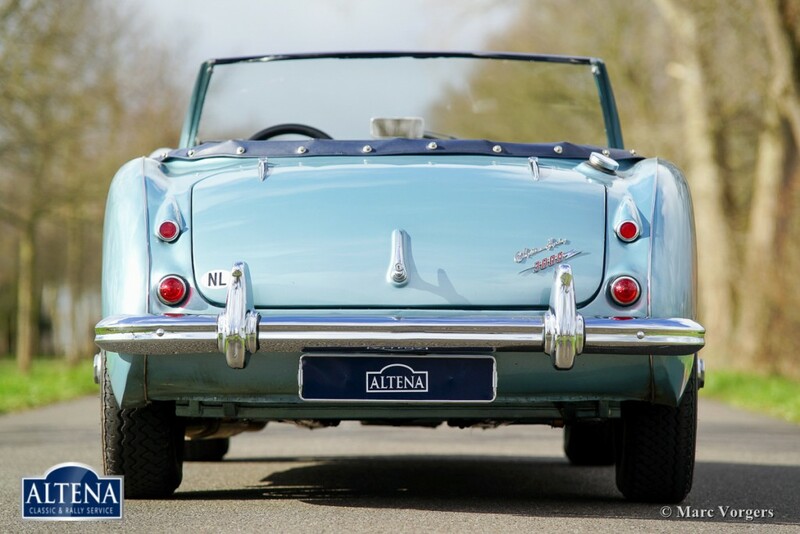 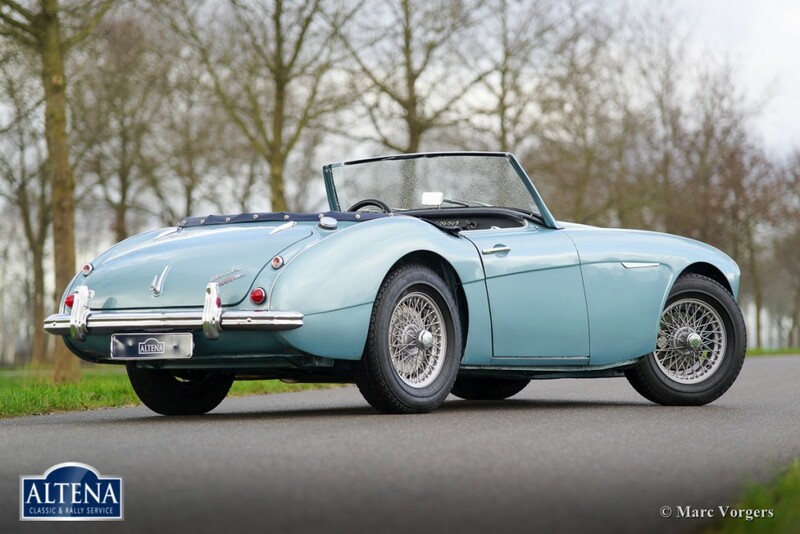 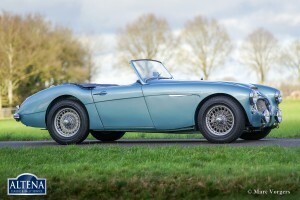 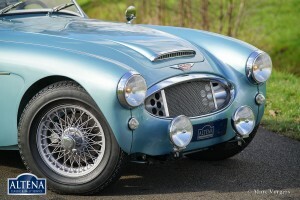 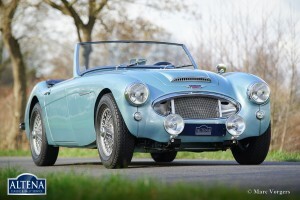 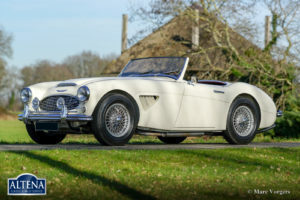 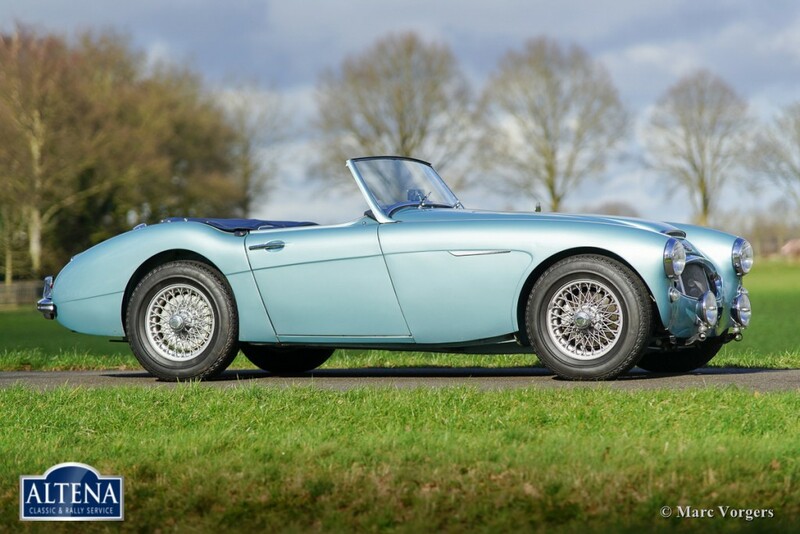 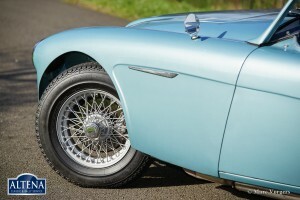 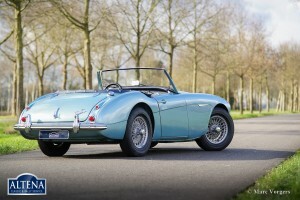 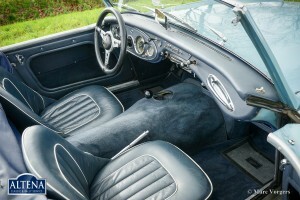 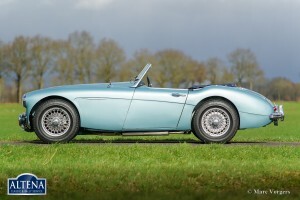 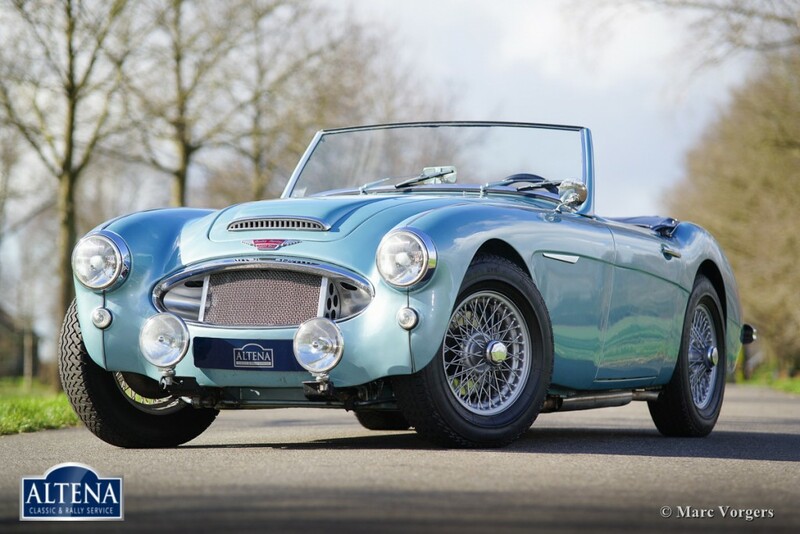 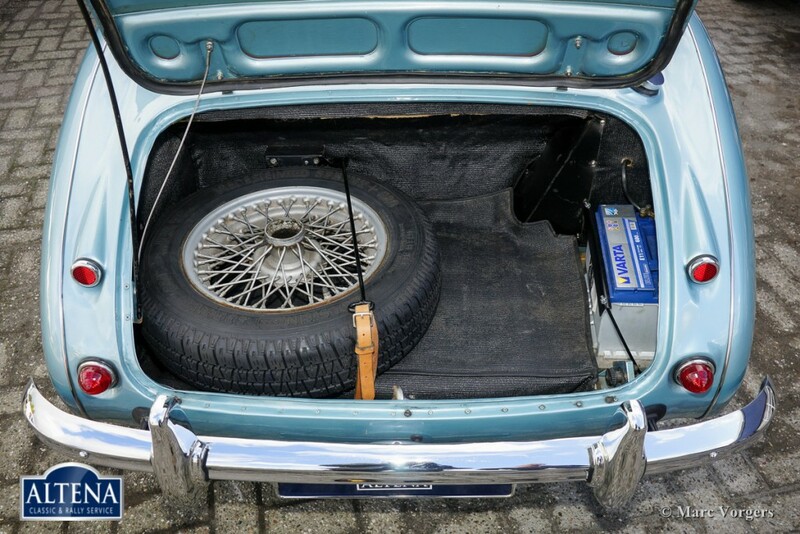 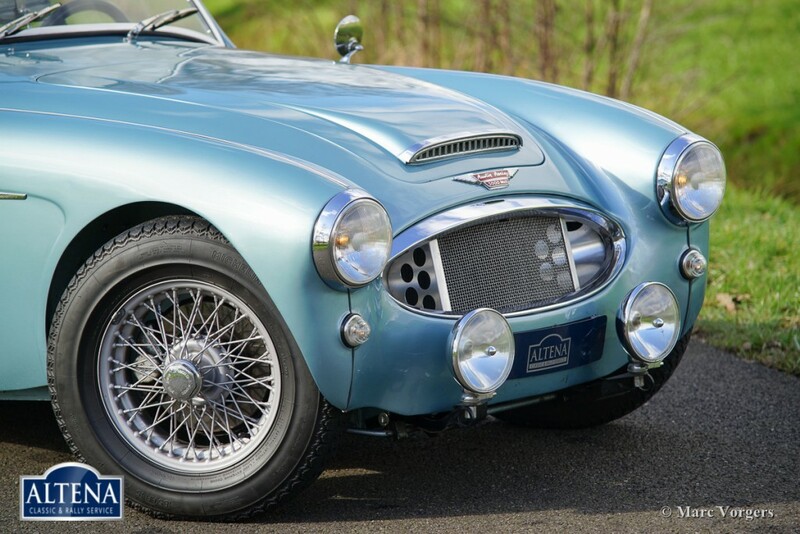 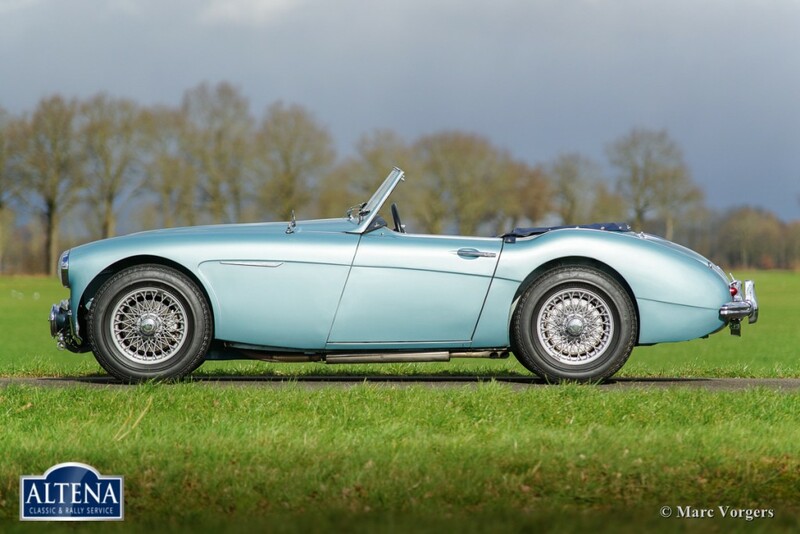 Very nice Austin Healey 3000 MKII, in very good condition. 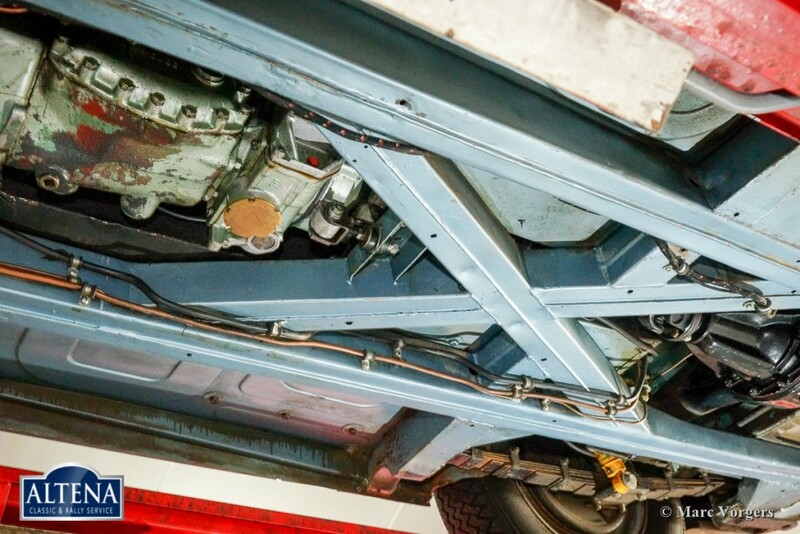 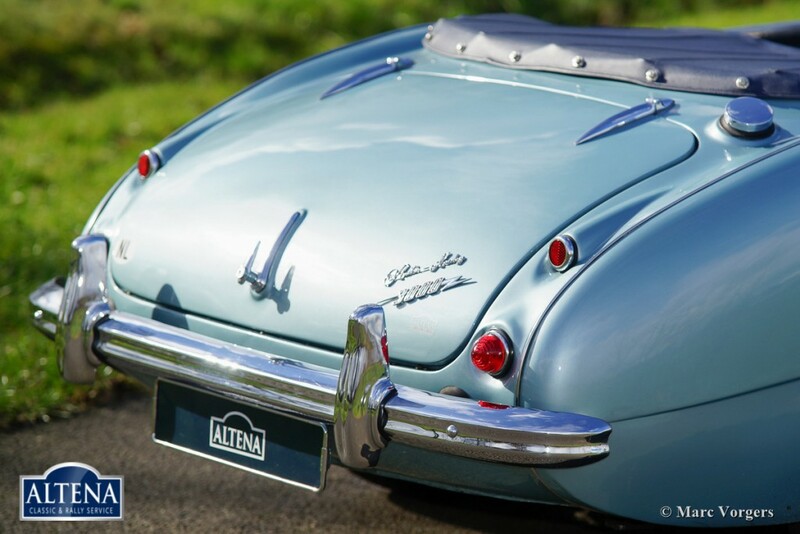 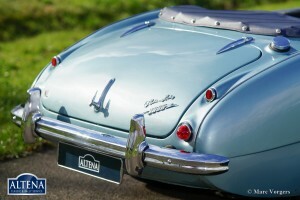 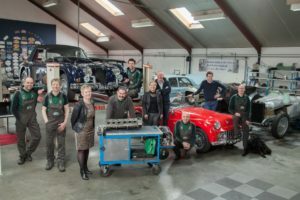 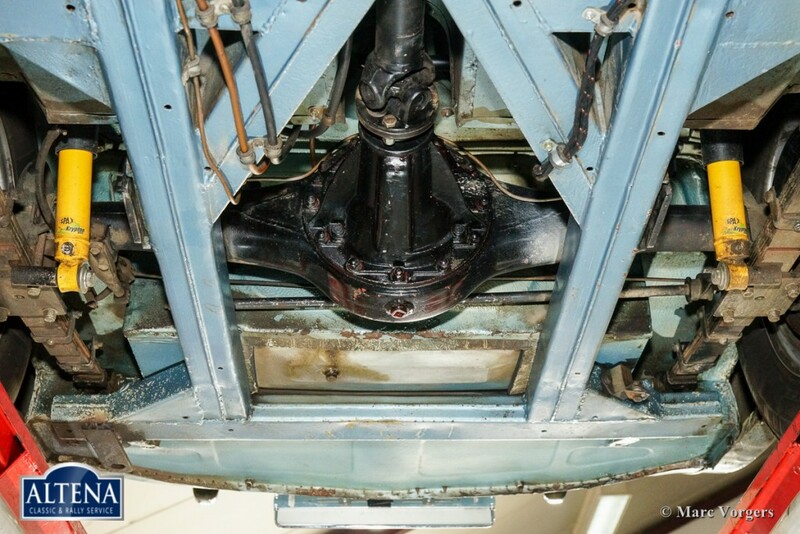 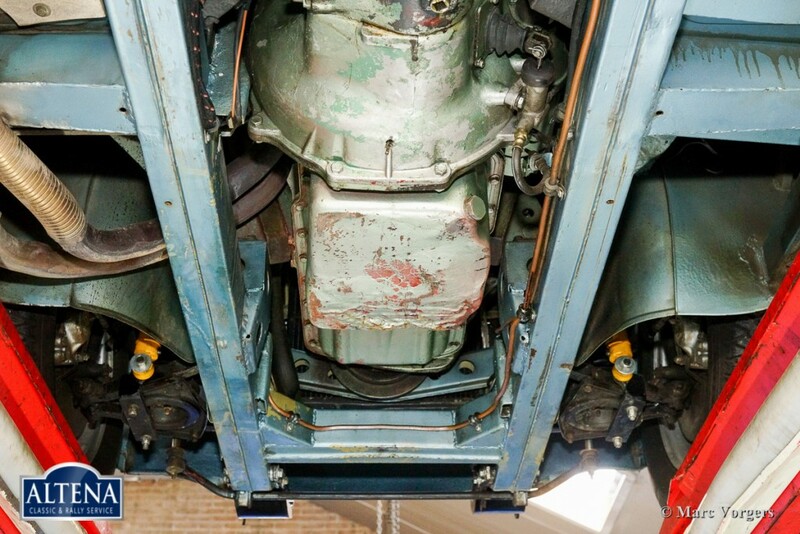 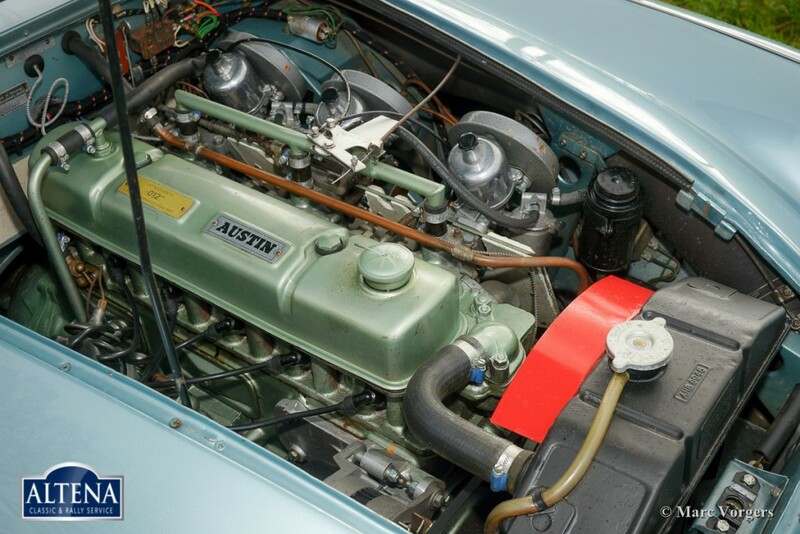 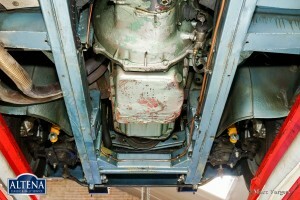 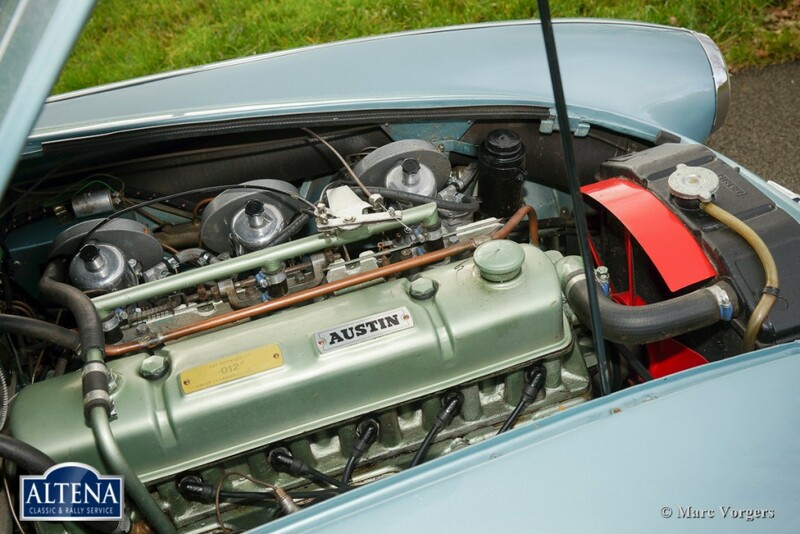 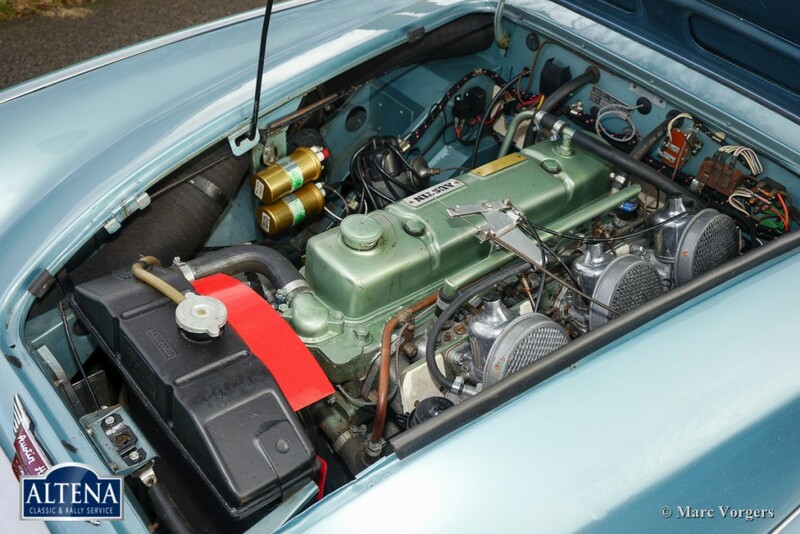 This Healey has three carburettors, the front bumper has been replaced by two Lucas headlights. 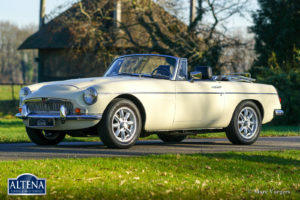 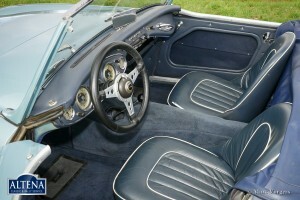 This drivers car with patina has bleu interior, Softtop and tonneau.